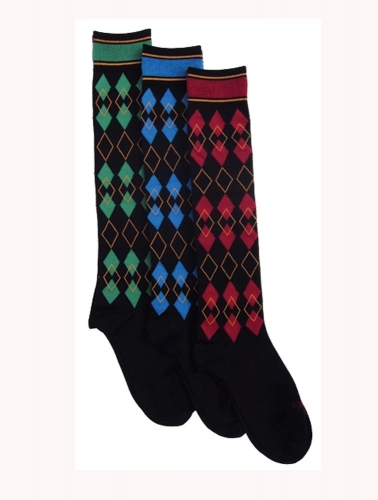 EPONA Argyle Boot Socks, Rock your socks in classy style! Epona’s new boot sock puts a bright, happy twist on classic Argyle fashion . Sturdy and practical for the arena or barn … with a classy pattern that moves easily into the office or on the town. Boots glide on easily over the silky-smooth fabric, and a cool, breathable weave makes these socks light and comfy for all-day wear. One size fits all. Barn wear is always handy, but diamonds are still a girl’s best friend!